Several enterprise software were authored over a decade ago, when ‘features and functionality’ were arguably given more importance by vendors than how the end user actually ended up using them. Whatever be the reason for this, the sad part is that many of us spend a lot more time on our ‘work’ software than ‘outside of work’ apps! 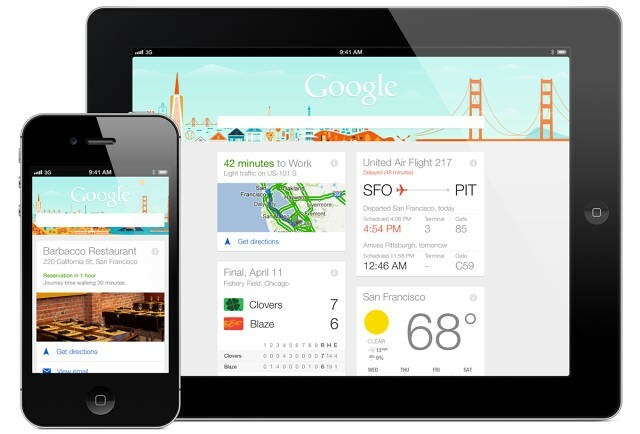 User Interface and User Experience go hand-in-hand towards achieving great design. Steve Jobs’ penchant for flawless design is well documented. I believe the high standard of design quality set by him has set the norm for design in general today. And that’s a good thing. We should demand the same standard of usability from our enterprise software as we do for apps used outside of work. 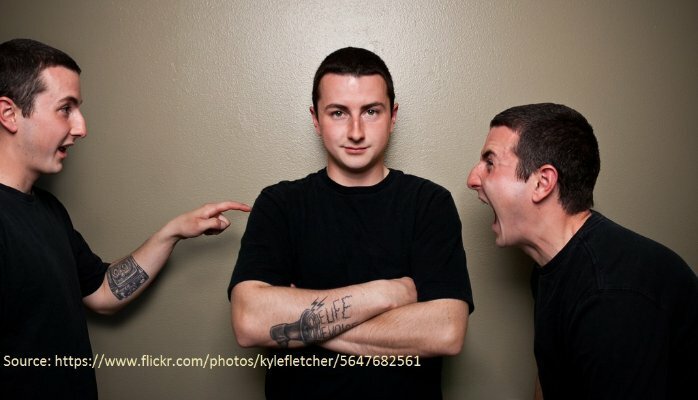 After all, poor UX could very well be the reason for the sulking engineer that bypassed filing a change request form in his enterprise software before making a product change, which ended up being the product manager’s worst nightmare; OR for the sales professional that made an uninformed decision about a potential client because the information in his CRM system was too convoluted to retrieve! A study conducted by Neochange, Sandhill Group and the Technology Services Industry Association (TSIA), in the summer of 2009 pointed to some interesting results¹. 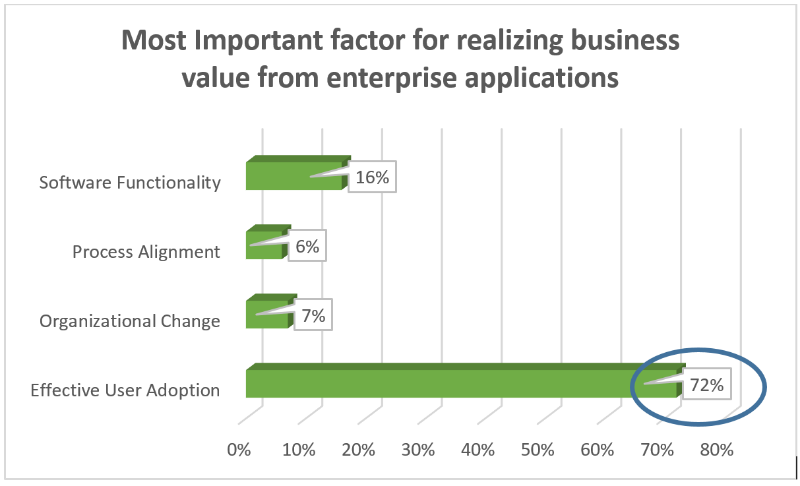 Of the 353 IT professionals that participated, an overwhelming 72% felt that effective user adoption was the most important factor for realizing business value from enterprise software, while only 16% attributed it to software functionality. 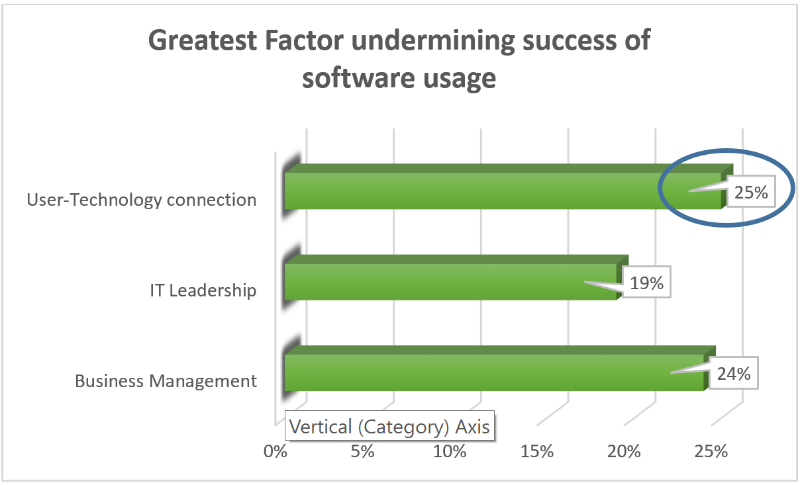 When asked about the sources of failure attributed to effective user adoption, 25% responded that the User-Technology connection (technology usability and user capability) was the key reason for it ahead of Leadership and business management factors. What’s the impact on Training? Having worked as a Technical Sales professional in the EDA (Electronic Design Automation) and CAD (Computer Aided Design) software industry for over 10 years, I can definitely recollect instances where the customer’s acceptance of the software fell short of my expectation, primarily because the software was very hard to learn; I would find myself having to retrain them on the software, every few months. An important development in mobile and web applications during the last few years has been the use of cards. Simply put, these ‘playing card’ or ‘baseball card’ look-alikes are rectangular boxes that serve as a gateway to more detailed information on a certain topic. The advantage of using cards to present data is that it allows breaking down a large set of information into smaller digestible chunks based on the content’s relevance to the user and also provides a cleaner interface. Cards make workflows simpler! 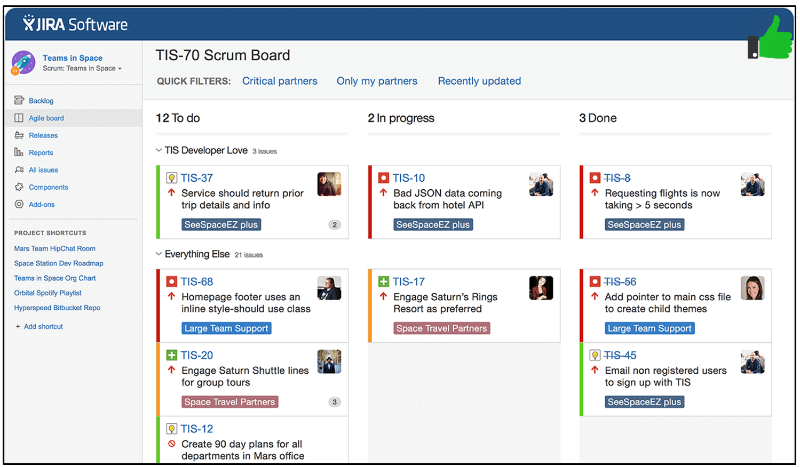 Project management software like Jira and Trello make use of this approach to simplify how tasks can be managed in a workflow. I’ve never been a fan of the ribbon view for organizing menu items and icons. I believe Microsoft were the first to come out with this approach in their Office 2007 products. I would find myself googling for information on simple tasks like editing the footer message on a slide, because it’s hard to remember where these options exist! The introduction of the ‘Tell me what you want to do’ option in Office 2016 is a welcome addition to alleviate Powerpoint frustration. A natural progression of this ‘virtual helper’ concept is the Chat-bot. Over the last few months, I’ve been increasingly using SlackBot to communicate with my team members and it’s astonishing how it has reduced my use of work email by over 60%. 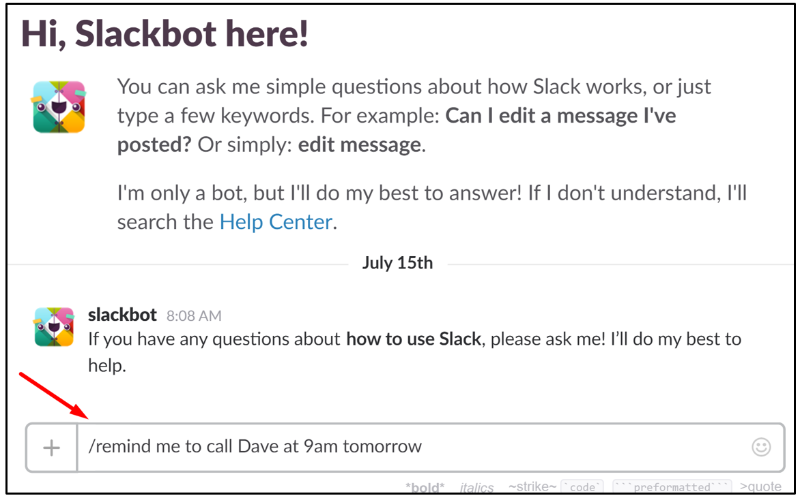 Where Slackbot is different from the ‘Tell me what you want to do’ feature of Office apps, is that Slackbot presents you with options of what you might want to do, after the requested task has been performed! 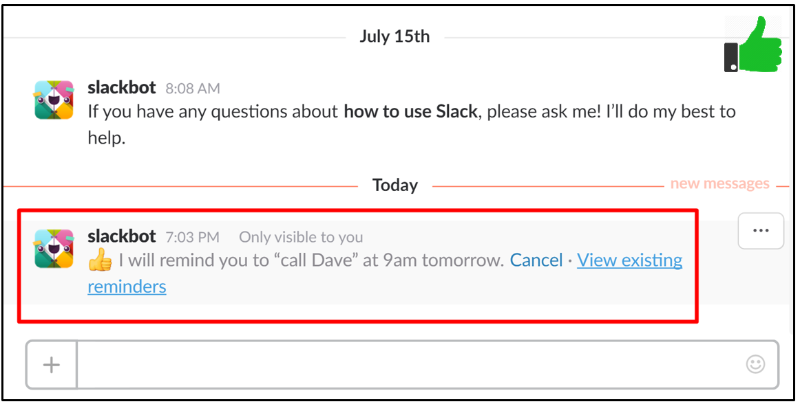 A simple example is that of setting up a calendar appointment in SlackBot; it comes back with additional options to ‘Cancel’ or ‘View existing reminders’. This kind of predictive help can be extremely powerful in most enterprise software, where the user need not remember ‘What do I need to do next’ and can shave off $ in training costs. While, I don’t see this as completely replacing the step-by-step wizard interfaces that we have grown to love, anytime soon, I wouldn’t bet my money on it! In my next blog, I’ll add to this list of trends and do’s/don’ts that enhance UX for consumers of enterprise software. While this blog series is not intended to be an exhaustive list, the point is to restart the conversation on the relevance of UX in the enterprise. What are some items in your wishlist that would enhance your working experience with enterprise software?